Cain is represented in Biblical symbolism as being primarily a farmer and Abel as a stockmaster( herder), thus they are the types of the two sorts of peoples who have existed since the origins of the present humanity, or at least since the earliest differentiation took place, namely that between the sedentary peoples, devoted to the cultivation of the soil, and the nomads, devoted to the raising of flocks and herds. The names ‘Iran’ and ‘Turan’ have frequently been treated as if they were the names of races, but they really represented the sedentary and the nomadic peoples respectively. THE ‘SOLIDIFICATION’ OF THE WORLD has yet other consequences not mentioned hitherto in the human and social order, for it engenders therein a state of affairs in which everything is counted, recorded, and regulated, and this is really only another kind of `mechanization’; it is only too easy nowadays to find typical instances anywhere, such as for example the mania for census-taking (which is of course directly connected with the importante attributed to statistics),(1) and more generally, the endless multiplication of administrative interventions in all the circumstances of life. These interventions must naturally have the effect of ensuring the most complete uniformity possible between individuals, all the more so because it is almost a `principle’ of all modern administration to treat individuals as mere numerical units all exactly alike, that is, to act as if, by hypothesis, the `ideal’ of uniformity had already been realized, thus constraining all men to adjust them-selves, so to speak, to the same `average’ level. (1- Much could be said about the prohibitions formulated in certain traditions against the taking of censuses otherwise than in exceptional cases, if it were to be stated that such operations, like all those of the ‘civil state’ as it is called, have among other inconveniences that of contributing to the cutting down of the length of human life (and this is anyhow in conformity with the progress of the cycle, especially in its later periods), but the statement would simply not be believed; nevertheless, in some countries the most ignorant peasants know very well, as a fact of ordinary experience, that if animals are counted too often far more of them die than if they are not counted; but in the eyes of moderns who call themselves `enlightened’ such things cannot be anything but `superstitions”). In another respect, this ever more inordinate regulation has a highly paradoxical consequence, and it is this: the growing rapidity and ease of communication between the most distant countries, thanks to the inventions of modern industry, are matters of pride, yet at the same time every possible obstacle is put in the way of the freedom of these communications, to the extent that it is often practically impossible to get from one country to another, and in any case it has become much more difficult now than it was when no mechanical means of transport existed. 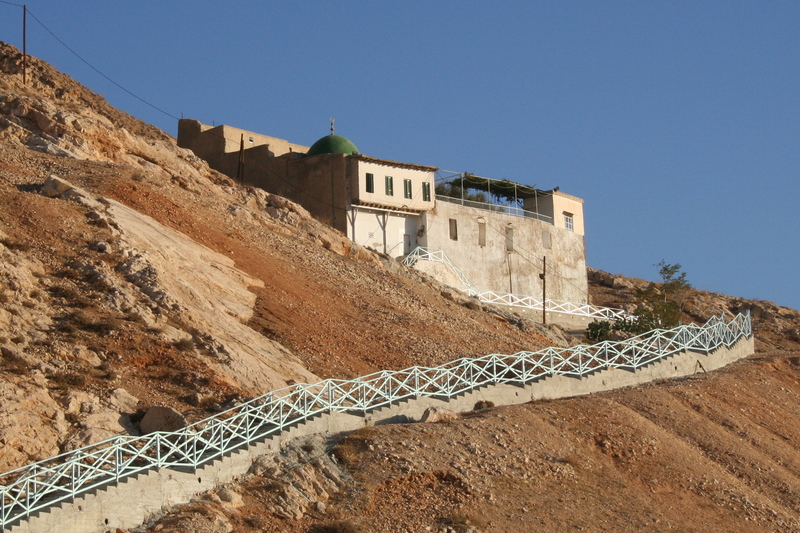 This is another special aspect of `solidification’: in such a world there is no longer any room for nomadic peoples such as formerly survived in various circumstances, for these peoples gradually come to a point at which they no longer find in front of them any free space; and in addition to this, all possible means are used to cause them to adopt a sedentary life,(2) so that in this connection also the time seems not to be far distant when the ‘wheel will stop turning’; while in addition, within the sedentary life, the towns, representing something like the final degree of ‘fixation’, take on an overwhelming importance and tend more and more to absorb everything else;(3) this is how it comes about that, toward the end of the cycle, Cain really and finally slays Abel. (2)Two particularly significant examples may be cited here: the ‘Zionist’ projects as they affect the Jews, and the attempts recently made to fix the Bohemians in certain countries of Eastern Europe. Note: see The San Peoples: The San ‘Bushmen’ also known as Khwe, Sho, and Basarwa are the oldest inhabitants of southern Africa, where they have lived for at leas t 20,000 years. They are hunter-gatherer peoples of southern Africa. 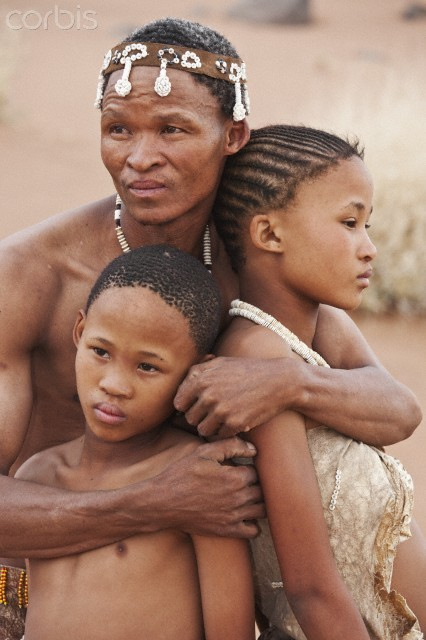 Genetic evidence also suggests the San Bushmen are one of the oldest peoples in the world. Their home is in the vast expanse of the Kalahari desert. (3)It must be recalled in this connection that the “Hleavenly Jerusalem’ itself is symbolically a town, which shows that in this case also there is reason to take account of a double meaning in `solidification”. (4)It may be added that, as Cain is said to be the elder, agriculture therefore appears to have some kind of anteriority, indeed Adam himself is represented as having had the function of `cultivating the garden’ in the period before the fall. This is also related more particularly to the vegetable symbolism in the representation of the beginning of the cycle (hence there was a symbolical and even an initiatic ‘agriculture’, the very same as that which Saturn was said by the Latins to have taught to the men of the ‘Golden Age’; but however that may be, all we have to consider here is the state of affairs symbolized by the opposition (which is at the same time a complementarism) between Cain and Abel, arising when the distinction between agricultural and pastoral peoples was already an established fact. (5)The names Iran and Turan have frequently been treated as if they were the names of races, but they really represented the sedentary and the nomadic peoples respectively; Iran or Airyana comes from the word arya (whence arya by extension), meaning ‘Iaborer‘ (derived from the root ar, found again in the Latin arare, arator and also arvum, ‘field’); and the use of the word arya as a title of honor (for the superior castes) is consequently characteristic of the tradition of agricultural peoples. (6)On the very special importance of the sacrifice and of the rites connected with it in the different traditional forms, see Frithjof Schuon, ‘On Sacrifice’, in The Eye of the Heart (Bloomington, IN: World Wisdom Books, 1997), and A.K. Cooma-raswamy, `Atmayajna: Self-Sacrifice’, in The Door in the Sky: Coomaraswanty on Myth and Meaning (Princeton: Princeton University Press, 1997), chap. 4. As Biblical symbolism in particular is now being considered, it is as well to note at once in that connection that the Hebrew Torah belongs properly to the type of law appropriate to nomadic peoples. 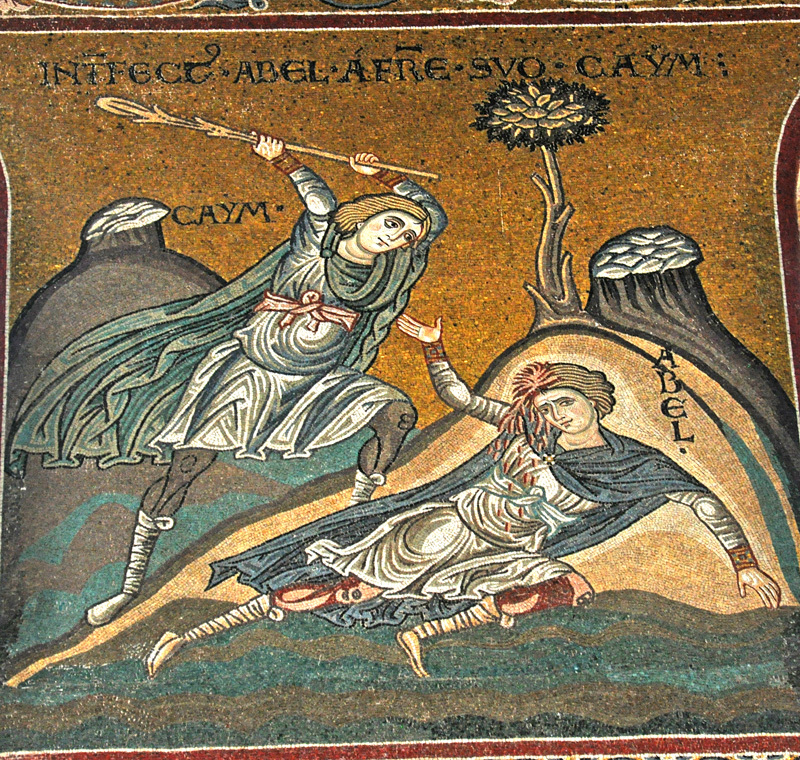 Hence the way in which the story of Cain and Abel is presented, for it would appear in a different light in the eyes of a sedentary people and would be susceptible of a different interpretation, although the aspects corresponding to the two points of view are of course both included in the profound meaning of the story; this is nothing more than an application of the double meaning of symbols, to which some allusion was made in connection with `solidification’, since this question, as will perhaps appear more clearly from what follows, is dosely bound up with the symbolism of the murder of Abel by Cain. (7)The fixation of the Hebrew people was essentially dependent on the existence of the Temple in Jerusalem; as soon as the Temple was destroyed nomadism reappeared in the special form of the `dispersion’. The agricultural peoples, just because they are sedentary, are naturally those who arrive sooner or later at the building of towns; indeed, it is said that the first town was founded by Cain himself; rnoreover its foundation did not take place till well after the time during which he is said to have been occupied in agriculture, which shows clearly that there are as it were two successive phases in `sedentarism’, the second representing a relatively more pronounced degree of fixity and spatial `constriction’ than the first. (8)Fabre d’Olivet’s works may be consulted on this cosmological interpretation. In actual fact, both these two principles are manifested simultaneously in time and in space, as in everything else; it is necessary to point this out in order to avoid unduly (simplified’ identifications or assimilations, as well as to resolve occasional apparent oppositions; but it is no less certain that the action of the principle of compression predominates in the temporal condition, and of expansion in the spatial condition. Moreover, time uses up space, if it may be put so; and correspondingly in the course of the ages the sedentary peoples gradually absorb the nomads; this gives, as indicated above, a social and historical significance to the murder of Abel by Cain. 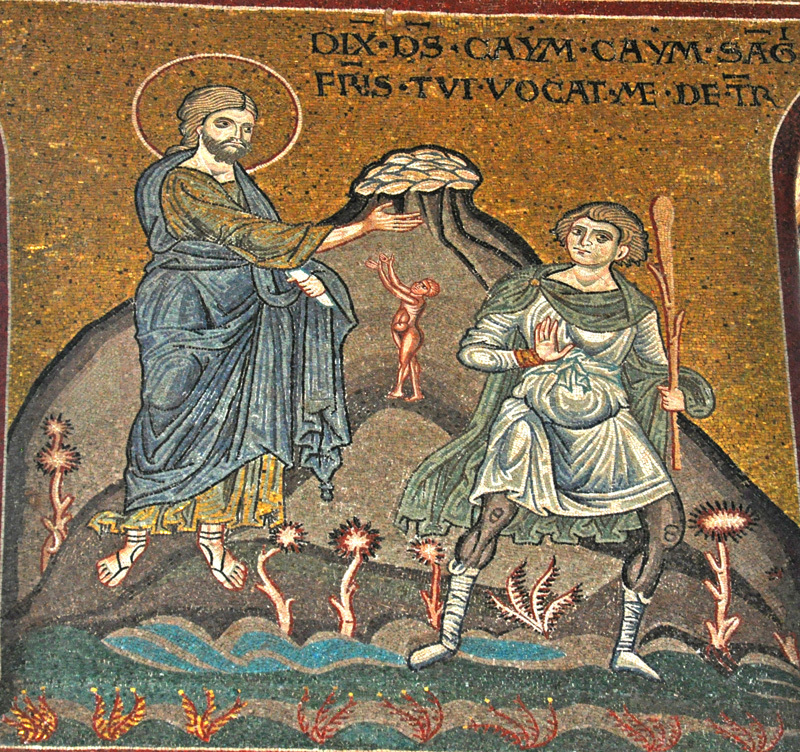 (9)The use of the mineral elements includes more especially building and met-allurgy; the latter will be further considered later; Biblical syrnbolism attributes its origin to Tubalcain, that is, to a direct descendant of Cain, and Cain’s very name reappears as a constituent in the formation of his descendant’s name, indicating that there is a very close connection between the two. (10)The distinction between these two fundamental categories of symbols is, in the Hindu tradition, that between the,yantra, a figured symbol, and the mantra, a sonorous symbol; it naturally carries with it a corresponding distinction in the rites in which these symbolical elements are respectively used, though there is not always such a clear separation as can be conceived theoretically; in fact, every combination of the two in different proportions is possible. It is, however, remarkable that, among the sensible faculties, sight is directly related to space, and hearing to time: the elements of the visual symbol occur simultaneously, and those of the sonorous symbol in succession; so that there is in this respect a kind of reversal of the relations previously considered: but this reversal is in fact necessary so that some equilibrium may be established between the two contrary principles mentioned above, and so that their respective actions may be kept within limits compatible with normal human existence. (11)It is scarcely necessary to observe that, in all the considerations now under examination, the correlative and in a way symmetrical character of the spatial and the temporal conditions, seen under their qualitative aspect, becomes clearly apparent. those who wander in space are ceaselessly modified within time. And the antinomy of the ‘inverse sense’ appears as follows: those who live according to time, the changing and destroying element, fix and conserve themselves; those who live according to space, the fixed and permanent element, disperse themselves and change unceasingly. (12)This is why nomadism, in its `malefic’ and deviated aspect, easily comes to exercise a ‘dissolving’ action on everything with which it comes into contact; sedentarism on its side, and under the same aspect, must inevitably lead only toward the grossest forms of an aimless materialism. Here indeed we find ourselves in a domain where all the consequences of the cosmic dualities show themselves with special clarity, those dualities being more or less distant images or reflections of the primary duality, that of essence and substance, of Heaven and Earth, or Purusha and Prakriti, which generates and rules all manifestation. To return to Biblical symbolism, the animal sacrifice is fatal to Abel,(13) and the vegetable offering of Cain was not accepted;(14) he who is blessed dies, he who lives is accursed. (13)As Abel shed the blood of animals, his blood was shed by Cain; this is as it were an expression of a law of compensation’ by virtue of which the partial dise-quilibria, in which the whole of manifestation consists fundamentally, are inte-grated in the total equilibrium. (14)It is important to note that the Hebrew Bible nevertheless admits the validity of the bloodless sacrifice considered in itself: as in the case of the sacrifice of Melchizedek, consisting in the essentially vegetable offering of bread and wine; but this is really connected with the rite of the Vedic Soma and the direct perpetuation of the Hebraic and `Abrahamic’ tradition and even much further back, to a period before the laws of the sedentary and nomadic peoples were distinguished; this again recalls the association of a vegetable symbolism with the `Terrestrial Paradise, that is, with the `primordial state’ of our humanity. 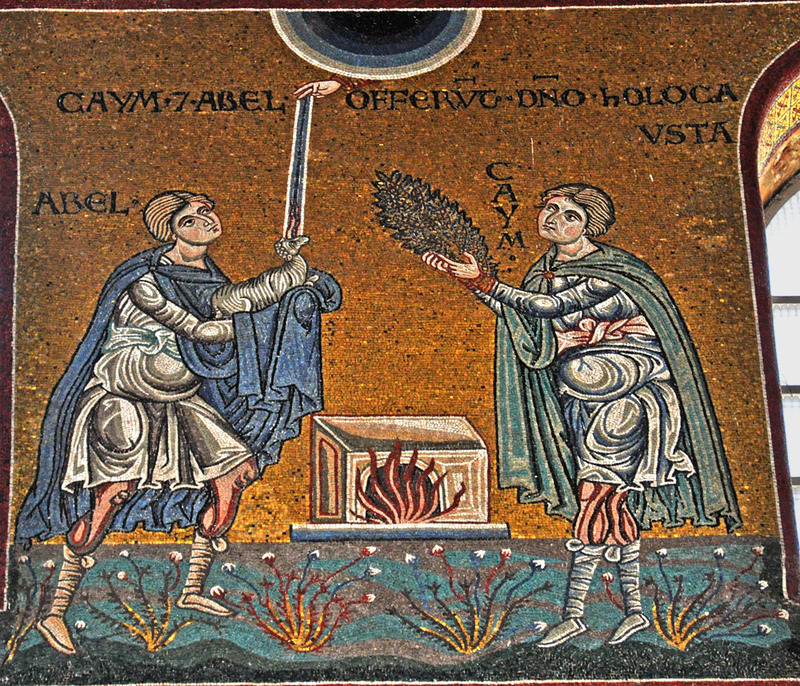 The acceptance of the sacrifice of Abel and the rejection of that of Cain are sometimes pictured in rather a curious symbolical way: the smoke of the former rises vertically toward the sky, whereas the smoke of the latter spreads horizontallyover the surface of the earth; thus they trace respectively the attitude and the base of a triangle representing the domain of human manifestation. (16)Equilibrium, harmony, and justice are really but three forms or aspects of one and the same thing; they could even in a certain sense be brought respectively into correspondence with the three domains shortly to be referred to, on condition of course that justice be taken in its most immediate meaning, of which in the modern world mere ‘honesty’ in commercial transactions represents an expression, diminished and degraded by the reduction of all things to the profane point of view and the narrow banality of `ordinary life’. (17)The intervention of the spiritual authority in the matter of money in traditional civilizations is directly connected with what has just been said: indeed money itself is in a certain sense the very embodiment of exchange, hence a much more exact idea can be formed of the real purpose of the symbols that it bore and that therefore circulated with it, for they gave to exchange a significance quite other than is contained in its mere `materiality, though this last is all that it retains under the profane conditions that govern the relations of peoples, no less than those of individuals, in the modern world.